Where should you travel to in 2019? 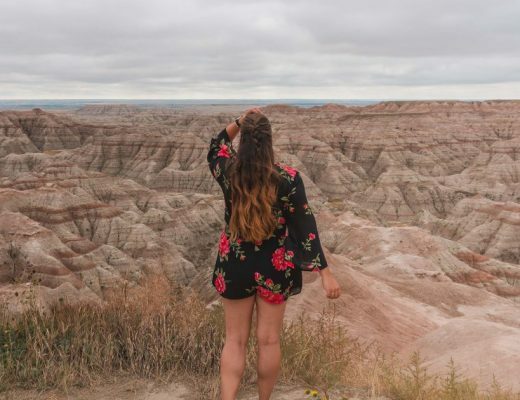 From emerging travel destinations to trending hotspots, here are the best places to travel in 2019! There are so many amazing places that deserve to be on this list so it was tough to cut it down to only this many. From Berlin, celebrating 30 years since the fall of the Berlin wall, to Kaikoura in New Zealand, which is now fully accessible again by road and rail after the destructive 2016 earthquake. 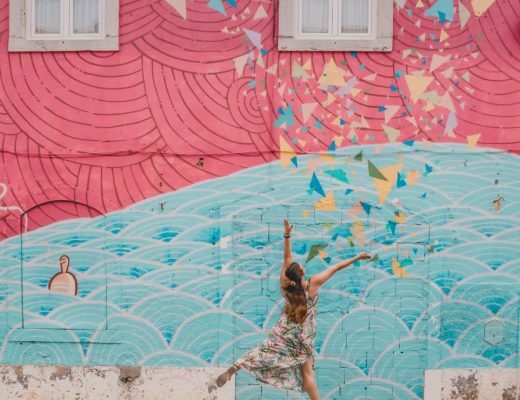 Both Matera in Italy and Plovdiv in Bulgaria were named European Capital of Culture for 2019, so expect both destinations to be trending this coming year! The second largest city in Bulgaria has a beautiful cobblestoned Old Town and is, in fact, one of Europe’s oldest continuously inhabited cities. Plovdiv combines ancient ruins with a bustling, vibrant nightlife – perfect whether you are interested in history, architecture or a good night out. Don’t miss a visit to the Old Town, the Roman Theatre ruins and the impressive Central Mountains, home to Bachkovo Monastery (second largest monastery in Bulgaria) and the medieval Asenovgrod Fortress. Where to stay: Stay in the beautiful Residence City Garden or the luxurious Landmark Creek Hotel & Spa. With new hotels opening in Tbilisi this year, the hospitality industry is heating up in the capital of Georgia. Located in the Caucasus region, this incredible country is home to spectacular scenery, delicious food and amazing wine. I travelled to Tbilisi as well as Kazbegi, Batumi, Telavi and Signagi last year and have wanted to go back ever since! Make sure to visit the impressive Holy Trinity Cathedral ‘Tsminda Sameba’, take the cable car to Narikala fortress and explore the Old Town and former Jewish Quarter as well. Where to stay: Stay in the glass skyscraper Biltmore Hotel (highest hotel in the Caucasus) or enjoy the mesh of Georgian culture and modernity at Rooms Hotel. Uzbekistan – the most fascinating country that you’ve never been to. With a grand total of only 1,000 Brits visiting each year (according to the Office of National Statistics), this spectacular Silk Road destination is truly underrated. UK travellers can, as of 2019, visit Uzbekistan visa-free! This follows an announcement on the 5th January 2019 that from the 15th January, travellers from Germany will be able to travel visa-free to Uzbekistan and from the 1st February 2019, travellers from the UK, Cyprus, Austria and Italy will also be able to visit without a visa. Since the visa reforms in 2018, visitor numbers have doubled from 2.6 million in 2017 to 5.3 million and look to rise further in 2019! Uzbekistan lies on the ancient Silk Road that stretched from China to Turkey. Khiva, Bukhara and Samarkand were three key stopping points for traders and their incredible architecture has been restored to its former glory – think majestic mosques with glittering minarets and hypnotic mosaic details. Uzbekistan is considered to be the ‘heart’ of the Silk Road and the cities in this country are packed full of spectacular architecture and fascinating monuments. The city of Bukhara contains 365 mosques and Registan Square in Samarkand is home to awe-inspiring feats of architecture. There is also more than architecture in this Central Asian country – think stretches of desert, beautiful green valleys and snow-capped mountains. 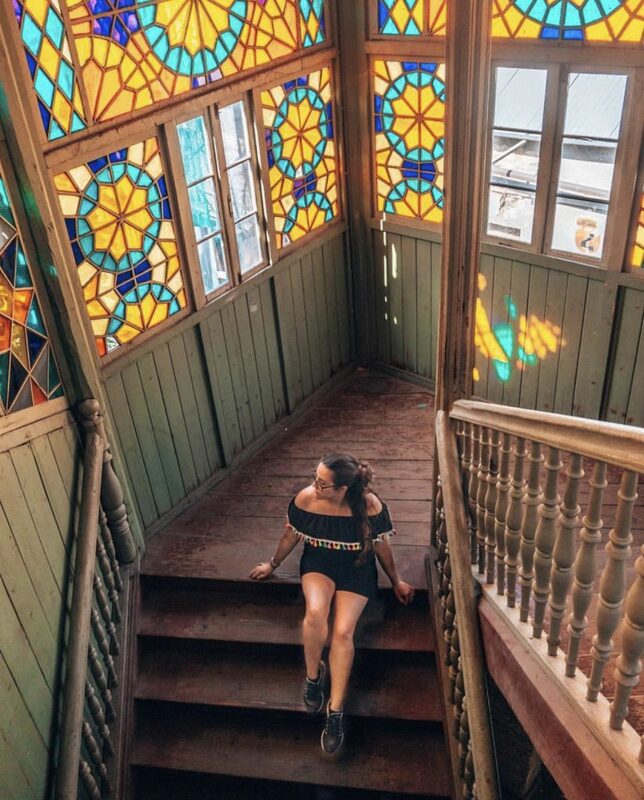 Where to stay: Jahongir Guest House in Samarkand, Emir Bed & Breakfast in Bukhara, Shaherezada Boutique Hotel in Khiva or alternatively book an Airbnb! Click here for £25 off your first Airbnb booking! Don’t book in GBP? Click here for a €28 discount or $32 discount instead! Hawaii’s Big Island (officially Hawaii Island) is back on the list of top destinations after dealing with the eruption of the volcano last year. Big Island is the largest in the archipelago (hence the name) and is the same size as the other seven islands combined! The biggest airport on the island is Kona, served by airlines such as Delta, Mokulele Air, Hawaiian Airlines, Alaska Air and United. 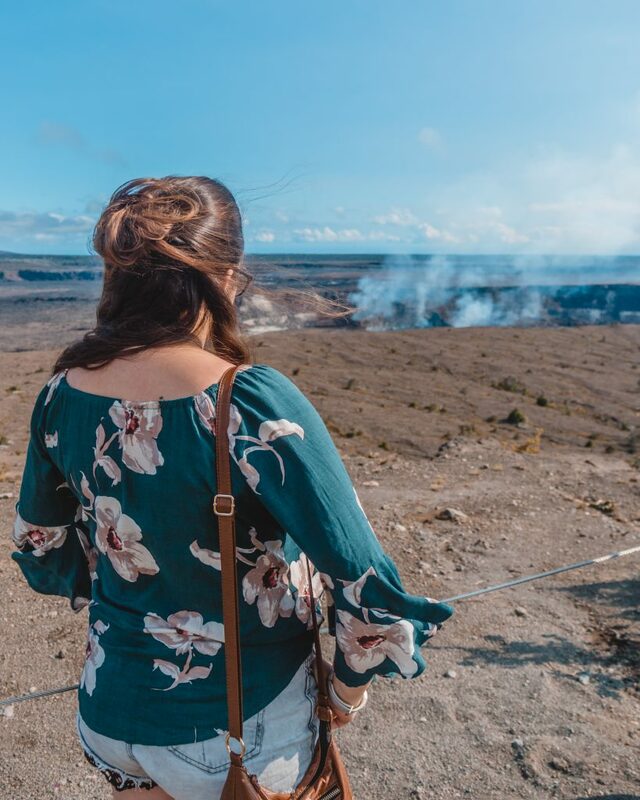 Big Island is known for its coffee and the volcanoes, as well as having one of the few black sand beaches in the world (Punalu’u Beach) and even a green sand beach. 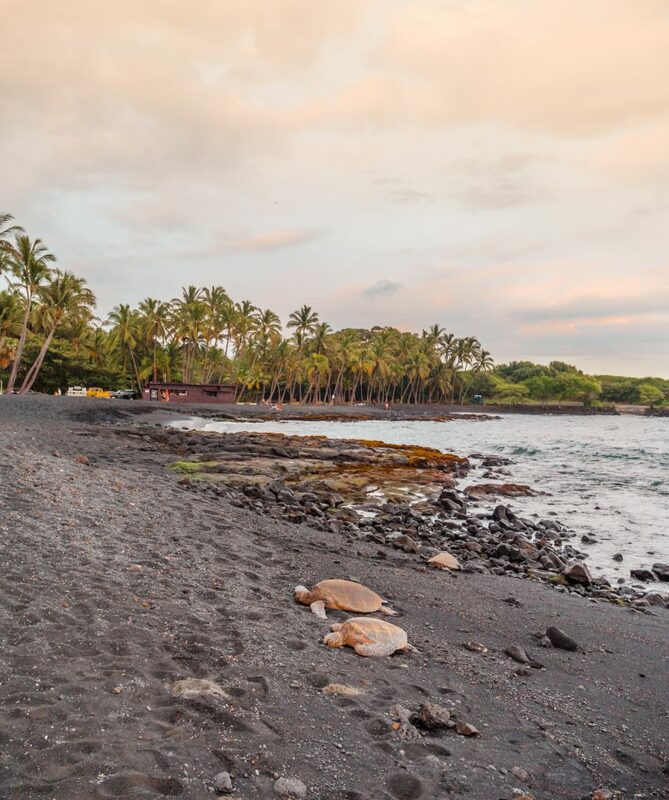 Where to stay: Stay at the spectacular Courtyard by Marriott King Kamehameha’s Kona Beach Hotel! Budget conscious? Book an Airbnb and get a $32 discount on your first booking! 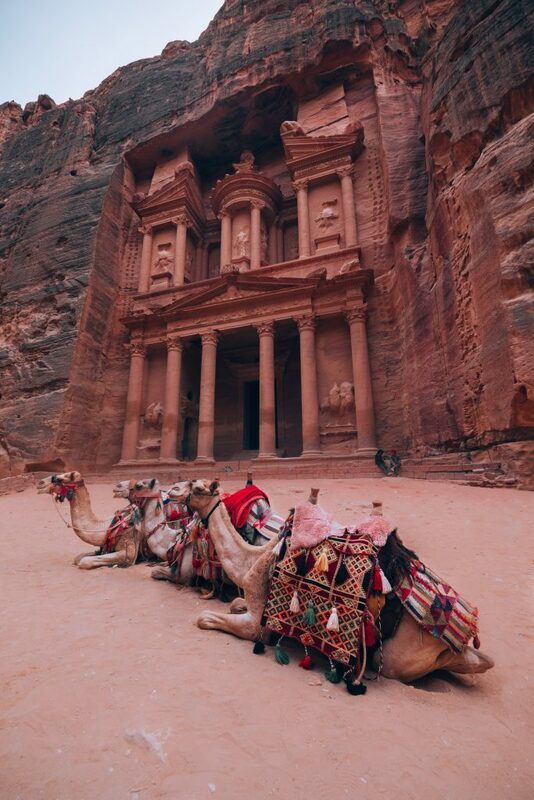 If Jordan isn’t on your bucket list already, it really should be. Petra is an archaeological city in the south of Jordan with spectacular red sandstone formations and ancient architecture. Visit the majestic facade of The Treasury, or Al-Khazneh, built as a mausoleum at the start of the 1st century for the Nabataean King Aretus IV. Climb 800 steps to reach a temple called The Monastery (‘Ad Deir’), which is Petra’s largest monument – the paths have been there since 400 BC! Only 15% of this ancient city is thought to have been discovered – archaeologists recently unearthed a monument that is the width of two Olympic swimming pools! More and more is being discovered in this ancient city that was once home to 20,000+ inhabitants and was a bustling trading city. Petra is considered to be the symbol of Jordan and is the country’s most visited tourist site. It is also a UNESCO World Heritage Site and Al-Khazneh was included as one of the ‘New 7 Wonders of the World’ in 2007. You can even sleep under the stars thanks to the Full of Stars Hotel in the middle of the Wadi Rum desert, located south of Petra. Sleep in a transparent bubble room which will give you a perfect view of the desert at night and the stars above you. Warning – you might not want to close your eyes! Wadi Rum is also a World Heritage Site in Jordan. Where to stay: Stay at a Bedouin-style camp at Hasan Zawaideh Camp or Arabian Nights when in Wadi Rum. In Petra, stay at the luxury La Maison Hotel or the perfectly located Petra Sella Hotel. While many people only think of Marrakech when they think of Morocco, there is so much more to the country than that. Yes, Marrakech is an amazing place with plenty of things to do, but you can also explore the desert and experience other cities as well. Ouarzazate: Considered ‘Morocco’s Little Hollywood’, Ouarzazate is home to Ait-Ben-Haddou, a pre-Saharan habitat called a ksar which was recently made much better-known thanks to being used as a location for Game of Thrones. You can visit CLA Studios where staff will provide you with directions to the desert film set used for Game of Thrones (40 dirhams). The area has also been used for filming in Lawrence of Arabia, The Mummy and Salmon Fishing in Yemen. When in Ouarzazate, stay at the beautiful Kasbah Dar Daif. Merzouga: Wanting to venture further into the Sahara? 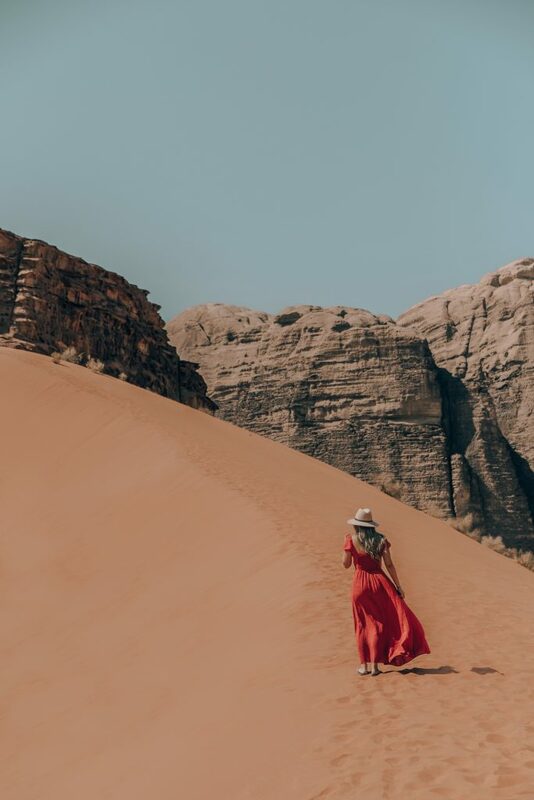 The small village of Merzouga offers a taste of traditional Berber life and the opportunity to experience desert life including camel rides or riding a 4×4 over the dunes. Experience an overnight stay in a Berber tent and enjoy a camel ride! Casablanca: Don’t miss a visit to the city of Casablanca to see the spectacular Hassan II Mosque and explore the old part of the city and see the Old Medina. Stay at the luxurious Hotel & Spa Le Doge in Casablanca, part of the Relais et Châteaux collection. Atlas Mountains: The Atlas Mountains stretch across Morocco, Algeria and Tunisia and separate the Atlantic from the Sahara. The highest point is Mount Toubkal at 4,167m and the mountains consist of three ranges, the High Atlas, Middle Atlas and Anti-Atlas ranges. The Atlas Mountains are sometimes referred to as the ‘spine’ of Morocco, as they run down the middle of the country, and this is the land of the Berber. Whether you’re an avid climber or hiker and want to summit Mt Toubkal or you just want to camp in the desert and experience Berber culture, there is something here for everyone. Do a day tour to Ouzoud Falls from Marrakech or take a day trip to the 4 Valleys and see Mt Toubkal! Todgha Gorge: Actually located in the High Atlas Mountains near the town of Tinerhir, Todgha Gorge (also written ‘Todra’) has been carved out by two rivers. This narrow canyon is most spectacular around 15km from Tinerhir where the canyon walls rise 160m each side and the gap between is a mere 10m wide. The gorge is a popular spot for rock climbing and hiking. Take a day trip from Ouarzazate and experience the 1000 Kasbah Road and Todra Gorge! Meknes: Often overlooked for its larger and grander neighbour, Fes, Meknes is a city not to be missed when in Morocco. Much quieter than bustling Fes or Marrakech, Meknes was the capital of Morocco in the 17th century. Visit the beautiful Bou Inania Madrasa or see the imposing monumental gates, such as Bab Mansour or Bab el Khemis. Only 30km outside of Meknes is the UNESCO World Heritage Site of Volubilis, usually the main reason for people to visit Meknes. An ancient Berber and Roman site up in the mountains, Volubilis is a significant place of archaeological interest and was the ancient capital of the Kingdom of Mauretania in the 1st century AD. Take a day trip to Meknes and Volubilis from Fes or stay in Meknes and explore from there. Stay at the stunning Riad D’or in Meknes or the centrally located Dar Borj if doing a day trip from Fes. Essaouira: A beautiful port city and resort on Morocco’s Atlantic coast, Essaouira is a much more relaxed city than hectic Marrakech. This city was also used as a backdrop in some episodes of Game of Thrones and is also a UNESCO World Heritage Site. Explore the ramparts for impressive seaside views and interesting history or enjoy watersports like windsurfing and kitesurfing as well as horse riding along the beach. Stay at the stylish Sofitel Essaouira Mogador Golf & Spa or experience a traditional Morocco riad at Riad Baladin. 2019 is a big year for Chile and Argentina, particularly the date of July 2nd. Why’s that? There will be a total solar eclipse for a full two minutes. This might not sound like much, but experts put a total solar eclipse as high up on the list of bucket list events as the Northern Lights on a really good night. The entire celestial show goes on for around two hours with memories to last a lifetime. While the best viewing points of the eclipse land in the middle of the Pacific Ocean (not very helpful), the end of the eclipse will be visible around sunset from Chile and Argentina. Totality will occur in the coastal plains of Northern Chile, the winemaking regions of San Juan and even the outskirts of Buenos Aires. Can’t get to South America this year? There will be another total solar eclipse on 14th December 2020 that will pass through Chilean and Argentinian Patagonia. Where to stay: See the stars and eclipse from Illa Ylla in rural Cochiguaz, Chile or the relaxing Oasis Cordillerano Village in the winemaking region of San Juan. Want to stay nearer Buenos Aires? Stay at the boutique Hotel Colon Junin in Junin, Buenos Aires Province. 2019 will mark 200 years since Sir Stamford Raffles arrived in Singapore, with 1819 being widely accepted as the year that modern Singapore was founded. While the celebrations won’t be as large as those in 2015 that marked 50 years of Singapore being a nation, there are many events being planned in the country including five themed hubs at i Light (art festival). The bicentennial commemoration will also be celebrating and raising awareness of the 500 years of history that happened before Sir Raffles arrived and the island became a British trading post. Singapore is also considered a paradise for foodies and is home to a constellation of Michelin-starred restaurants as well as an extensive selection of food stalls. It’s also an excellent place to experience cultural events such as Chinese New Year or sporting events such as the Grand Prix Season Singapore or the HSBC Singapore Rugby Sevens. Where to stay: Experience pure luxury at Marina Bay Sands or stay on a budget at Eighteen by Three Cabins. After the hugely destructive earthquake in 2016, Kaikoura has been rebuilt and the roads and railway serving the city have been fully reconstructed. 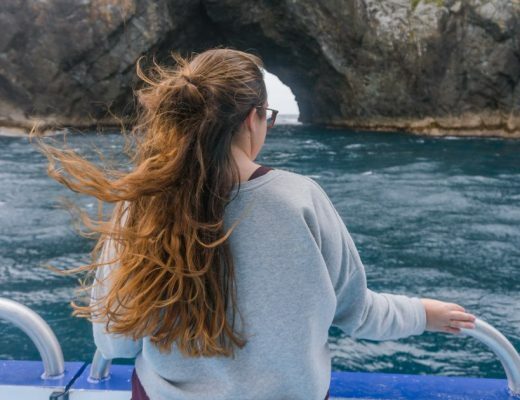 Situated between Christchurch and Picton and on the Coastal Pacific Railway line, this South Island gem is a must visit for incredible landscapes, dolphin swimming and whale watching. Kaikoura is a hotspot for wildlife of all sorts, predominantly thanks to the Kaikoura Canyon and its currents. Through the entire year, Kaikoura is home to dusky dolphins, sperm whales, fur seals and albatross. During certain months, you might also be lucky enough to spot orca, humpback whales, blue whales and Hector dolphins as well! As someone who isn’t the biggest fan of seawater (or snorkelling), heading out to snorkel with dolphins was both exciting and slightly scary. I’m a perfectly good swimmer but for some reason have never really got on with the sea and the last time I went snorkelling it didn’t go so well. Well, guess what? Swimming with dolphins in Kaikoura is officially one of my top life experience to date. Seriously. When I was in New Zealand in late 2018, one activity I did was a dolphin swim with Dolphin Encounter Kaikoura. You get the chance to swim with pods of dolphins (multiple times!) and then later on see them play in the water (the dusky dolphins are the only dolphins who do backflips with no training – they just love to do them!) from the boat, while you warm up with some soup or hot chocolate. The coastline is also seriously spectacular, and I really wish I’d had more time to explore before I went back to the North Island! Kaikoura is particularly impressive since the Kaikoura Range (an extension of the Southern Alps) extend almost to the sea. Additionally, as a result of the 2016 earthquake, 110km of the Kaikoura coastline was uplifted. Sub-tidal reefs were lifted clean out of the water, creating some really strange landscapes as parts of the coastline rose up to 6km! Where to stay: Experience hostel life at the excellent Dusky Lodge & Backpackers or enjoy your privacy at The Pier Hotel. The Azores, or Europe’s secret paradise. The Azores are a group of nine volcanic islands located in the Atlantic and are an autonomous region of Portugal. 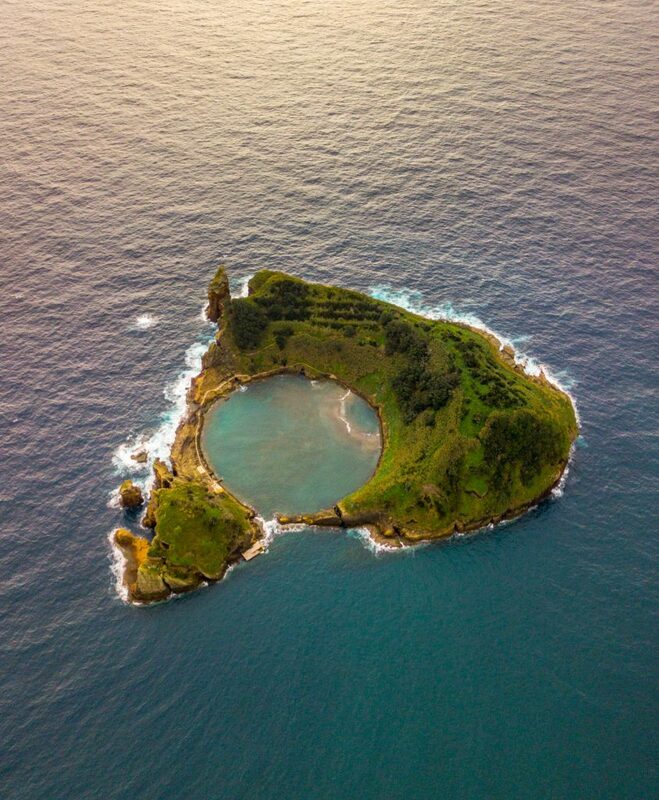 The largest island in the archipelago is São Miguel, cover 759 square km. The Azores are located above a ‘triple junction’, or the meeting point of three of the world’s largest tectonic plates – the North American Plate, Eurasian Plate and African Plate. This means that there are a lot of faults and fractures in this area and there has been a lot of seismic and volcanic activity in the region throughout history. The landscape is very obviously volcanic in nature – from lava fields, fumaroles, hot springs and geysers to volcanos and cones. Each island is very different in terms of geography which is definitely part of their charm! The Azores are also ideally situated for a layover on the way from Portugal to North America – SATA Airlines flies daily from Portugal to East Coast USA and offers layovers in the Azores at no extra cost. Flights from Europe to the Azores are operated by a variety of airlines including TAP Portugal, SATA, TUI and Ryanair. SATA also offers interisland flights, and there is also a ferry service between the islands. 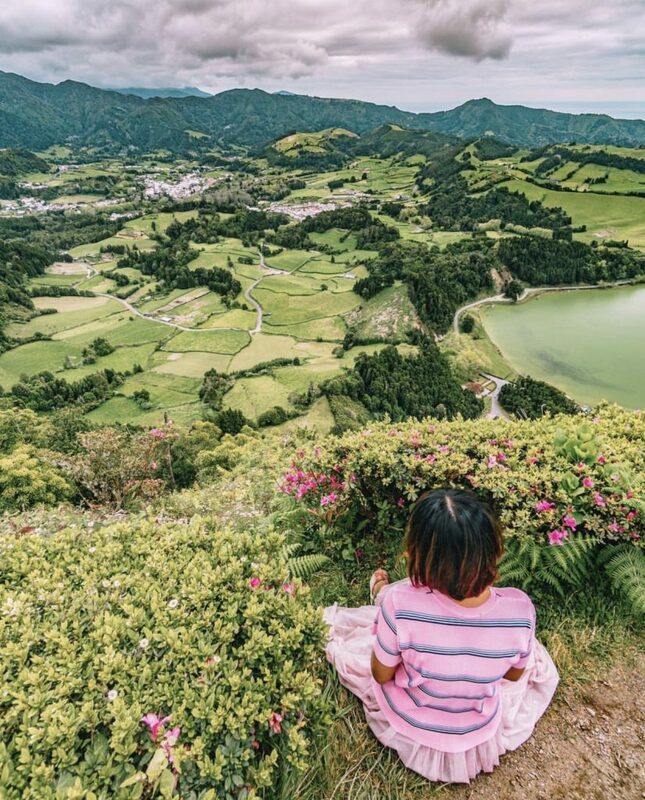 For an incredible round-up of why to visit each island, read Geeky Explorer’s article on the islands of the Azores and the best highlights of each. Where to stay: Stay at the My Angra Boutique Hotel in Angra do Heroísmo on Terceira, Alojamento do Arco in Ponta Delgada on São Miguel, at Azoris Faial Garden Resort Hotel in Horta on Faial and at Miradouro da Papalva Guest House Inn in São João on Pico. 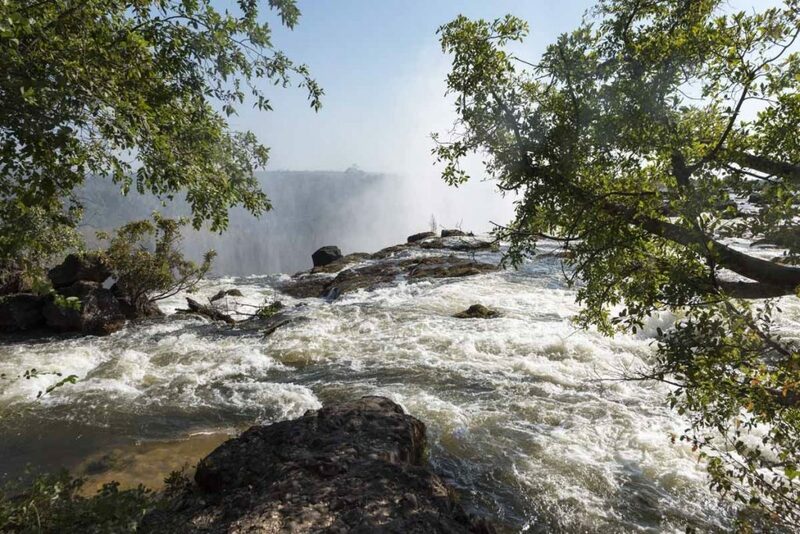 One of the hottest destinations to visit in 2019 is the beautiful country of Zambia. Compared to other destinations in eastern and southern Africa, it’s still a fairly undiscovered gem but has so many attractions to keep visitors occupied! 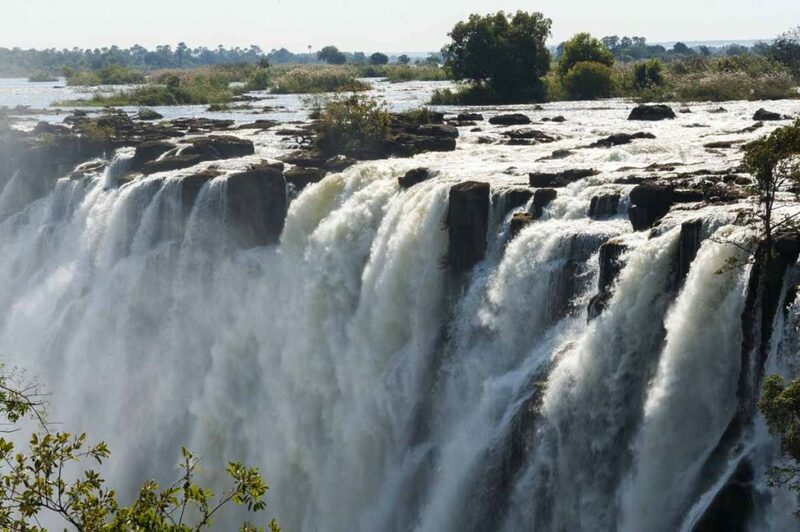 The biggest draw to this African gem is ‘Mosi-Oa-Tunya’, more commonly known as Victoria Falls. Entry from the Zambian side is about half the price of getting there from the Zimbabwean side and offers a completely different view of the falls. Visiting from Zambia also provides the opportunity to swim in Devil’s Pool if you dare – the closest you can get to the edge of the falls! Livingstone also deserves a mention for its markets and the myriad of adventure activities that it has to offer. From bungee jumping to white-water rafting as well as the classic safari – head to South Luangwa Wildlife Park to see hippos, elephants and rare Thornicroft’s giraffes, which are endemic to the park. Montenegro has been pegged as the ‘new Croatia’ – still somewhat ‘undiscovered’ by the masses but becoming more popular by the year. Definitely head to this gem on the Balkan coast before it becomes a tourist hotspot! A visit to Montenegro would not be complete without wandering through the old town of Kotor. Explore on foot to find lots of hidden gems – also check the days when cruise ships dock and avoid the Old Town then as it gets pretty full of day trippers from the ships. When in Kotor, you can take a boat to visit ‘Our Lady of the Rocks’ and Perast – check out private boats to take you there so you can explore on your own time rather than with a crowded group tour. Read more about where to eat in Kotor! Porto Montenegro is a newly built port with the aim to join the likes of St Tropez and Cannes as a destination – watch the super yachts from a restaurant while you sample local wines or stay in the luxury Hotel Regent with stunning views over the water. The Porto Regent Yacht Club is definitely the place for a luxurious, relaxing break with its infinity pool stretching out over the sea, poolside cocktail service and delicious food. Cetinje is the old capital of Montenegro where you can visit an Orthodox monastery with a variety of religious relics. The journey there is just as impressive – getting to Cetinje takes you over the mountains with views across Boka Bay. You can also make a stop at Montenegro’s oldest restaurant, Kod Pera na Bukovicu, where you can sample local meats and cheeses. If you’re looking for more of a party destination or a beach vacation, check out the coastal town of Budva. Busier than Kotor, Budva boasts a small scenic old town and pleasant beaches as well as nightlife on a budget! Where to stay: Stay at the charming Astoria Boutique Hotel in Kotor or the 5* Regent Porto Montenegro in Tivat. Mongolia – described as a ‘land full of magical mountains, thousands of years of culture and some of the friendliest people you’ll ever have the pleasure of meeting’. Getting around Mongolia can generally be considered a bit of an adventure in itself so most people would generally recommend using a tour company to travel around. To get to the outlying regions then small, domestic airlines serve these places. Make sure to visit the Altai Mountains, located in the northwest of Mongolia. Culturally this region is Kazak and gives a different experience of Mongolian culture compared to other areas of the country. 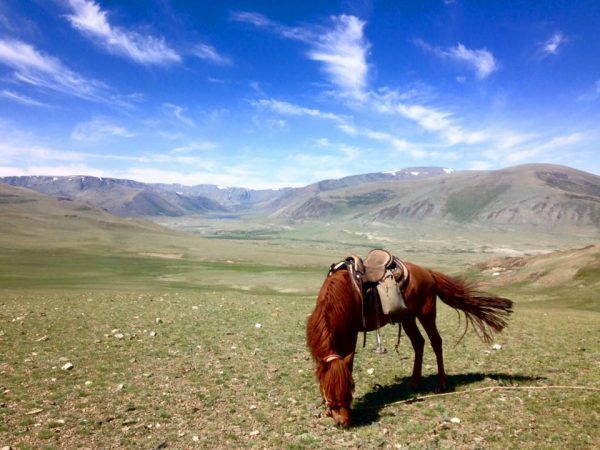 Travel to Khustai Mountains Camp, which is only a short drive from the capital city Ulaanbaatar – this national park is home to a very rare breed of Mongolian horse as well as a research centre for the breeding of these horses and other endangered species in the country. Another place not to be missed is the incredible Gobi Desert, the largest desert on earth. You may even be lucky enough to see a snow leopard or a herd of Bactrian camels. When is the best time to go to Mongolia? Most people recommend going in summer as winter in Mongolia is extremely cold. A popular time to visit the country is during Naadam, a traditional festival that includes Mongolian wrestling, archery and horse racing. The date of Naadam varies from place to place but is usually in July or August. In Ulaanbaatar, Naadam will run from the 10-13th July 2019. Where to stay: Jalman Meadows Ger Camp and at Hotel Nine Ulaanbaatar (mid-range) or Shangri-La Hotel (luxury) when in Ulaanbaatar. Greenland, the world’s largest island, is celebrating 10 years of self-rule this year. The island is becoming more accessible than ever before – in 2017 over 83,000 people visited Greenland. This might not sound like a huge amount but only 15% of Greenland is not covered by an ice cap and this number only includes travellers by air, not by cruise ship. Travelling to Greenland is still expensive, as is getting around Greenland while you’re there. There are no roads or railways between cities so you need to fly directly to where you want to visit. You can fly from Reykjavik to Nuuk, Greenland’s capital with 15,000 residents. You can also fly to Kangerlussuaq from Copenhagen, which is the best place to fly to in order to hike the Arctic Circle Trail. The trail is a 100-mile (160 km) path on the western side of the island connecting Kangerlussuaq Airport and the coastal town of Sisimiut. The trek typically takes 9-11 days. There are domestic flights on the island with Air Greenland and, in warmer months, there are passenger ships that operate on the western side. Cruise ships also travel to Greenland, including Fred Olsen, P&O Cruises, Princess Cruises, Viking and Hurtigruten. Many of the cruises will visit Greenland as well as Iceland, Denmark, Norway, the British Isles or Canada. Where to stay: Wake up to spectacular views at Vandrehuset 1-3 or Greenland Escape in Nuuk or the amazing Simisiut Sømandshjem in Simisiut. Two of the top places to see the Northern Lights in Greenland are Kangerlussuaq and the ice fjord of Ilulissat. Technically Georgia is in this list twice – this time it’s the state, rather than the country. 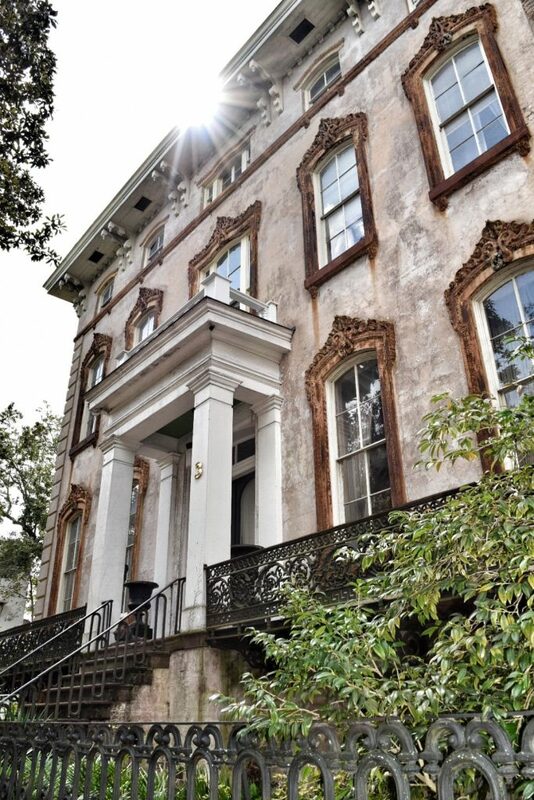 Quickly becoming a hotspot is the city of Savannah, with its beautiful historic district. Easily walkable, you can explore the top spots in Savannah on foot such as the ‘most haunted locations’ – take a ghost tour to find out why Savannah is considered one of America’s most haunted cities! Wander River Street to grab a drink and to watch the sunset or head to the Savannah Candy Kitchen for a sweet treat. Wormsloe Historic Site is only a short drive away and you can travel there with Uber or Lyft if you don’t have a car. 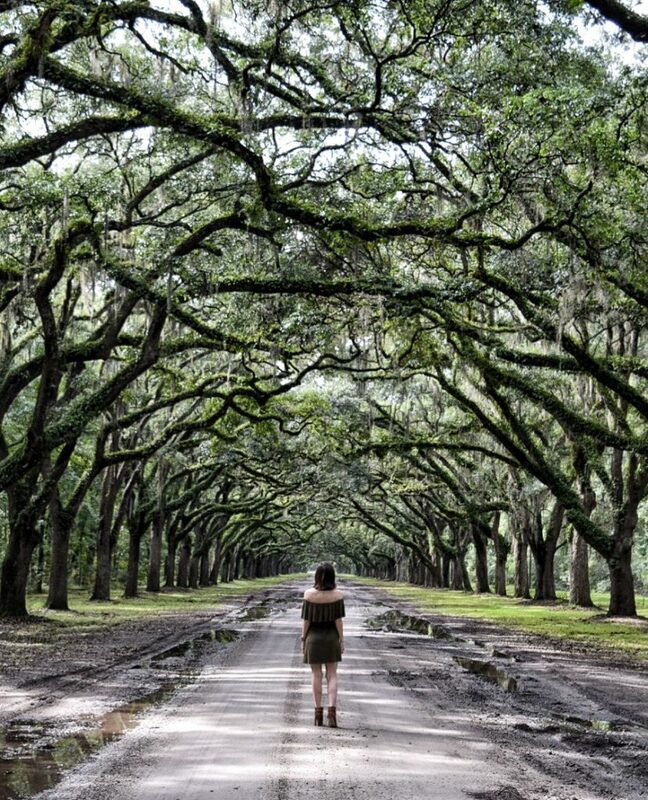 Travel blogger Leah Shoup calls it ‘Savannah’s best place for photos’ and recommends getting a shot of the beautiful driveway lined with 1.5 miles of oak trees. 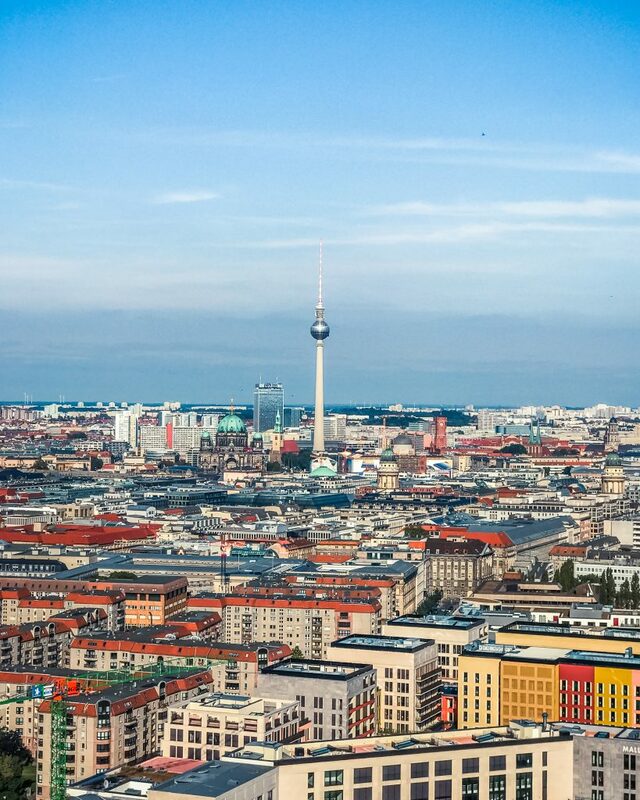 Germany’s capital city celebrates 30 years since the fall of the Berlin Wall, a 155km-long concrete barrier that separated West Berlin from East Berlin and West Berlin from surrounding East Germany. The death toll of people who tried to cross the wall is estimated to be between 130-200. The wall finally fell on the 9th November 1989, when East Germans (‘Ossis’) could finally leave the Soviet DDR (German Democratic Republic) and enter West Berlin. Demolition of the wall started on the 9th with ‘Mauerspechte’ (wall woodpeckers) using a variety of tools to chip away at the wall. 2019 is also the anniversary of Bauhaus – the architecture Walter Gropius founded the art and design school of Bauhaus in Weimar in 1919. The Bauhaus-Archiv in Berlin is running a one-week festival to celebrate the centenary. 2019 is shaping up to be an amazing year for travel with lots of events happening around the globe! More and more destinations are becoming much more accessible than in previous years, making it easier (and cheaper) to visit some seriously incredible countries. 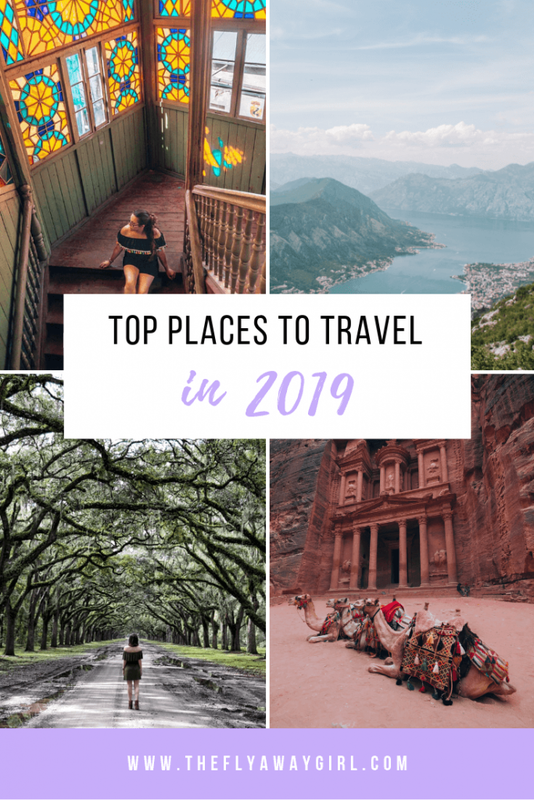 Where are your best places to travel in 2019? 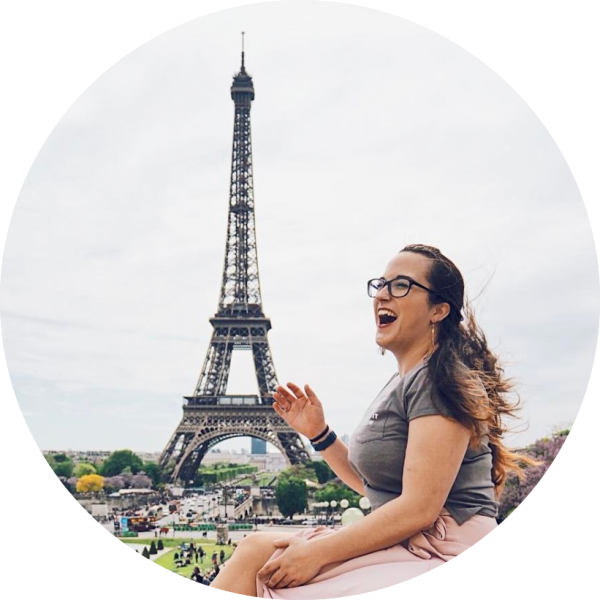 Let me know in the comments if you’ve been inspired to travel to anywhere on the list! Where are you travelling this year? Don’t forget to pin this article if you found it useful! I’m visiting Morocco & Montenegro this year and cannot wait! Oh have an amazing time!! I’m going to Kotor this year! Georgia and Greenland really caught my eye from your list! Do you have any of these places you’re looking forward to? I am hoping to go to Montenegro for a week or more in spring or summer! Wow these places look incredible and have given me some really hard decisions to make for travel this year! We live in China so I would love to get over to Mongolia at some point this year! Kaikoura looks stunning too! Oh that will be amazing! Yes – Kaikoura is seriously incredible, I’d love to go back! Great inspo list. Uzbekistan looks very tempting! Haha it definitely is! Plus totally visa-free for UK citizens so that’s a bonus! Looks like a detailed list and gives me many year end goals! 🙂 Cant wait to go to Georgia this year! Ooh where are you going? I would love to go back to Georgia (again) – so many incredible places there. Stunning photos! My bucket list just doubled in size. Happy travels in 2019!